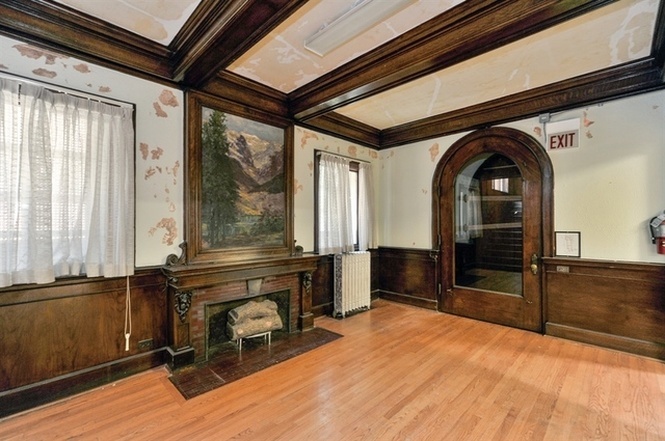 Are you interested in buying a George Maher-designed home with beautiful original features? For a fraction of what you would pay elsewhere? Now is your chance. The 4-bedroom, 3.5-bath home at 4506 North Sheridan just went on the market today, for $650K. Compare the prices that Maher homes go for in Buena Park, Evanston, and Oak Park to see what a comparative bargain this one is. This beautiful building has 11 rooms, six parking spaces, and is located on a 7500sf lot. The room sizes, while they made sense in 1895 when the house was built, are mind-boggling to us today: a 12' x 31' foyer; a 16' x 15' sitting room; and a 30' x 24' family room. Additionally, there is a full basement, a finished attic, a mud room, an enclosed porch, and a breakfast room. The house has an interesting history. Although it was designed as a single-family home in 1895, by 1928 it was the Wellcliff Restaurant. Then it became the McCready Funeral Home, where John Dillinger's body was prepared for burial in 1934, and thousands of people crowded Sheridan Avenue in hopes of catching a glimpse of his casket. It remained McCready for many decades, and certainly a large number of Uptowners recall it being so. Most recently, it was the home of the Neon Street shelter, run by Heartland Corporation. Budget cuts caused Heartland to move the shelter to another location which is less costly to operate. 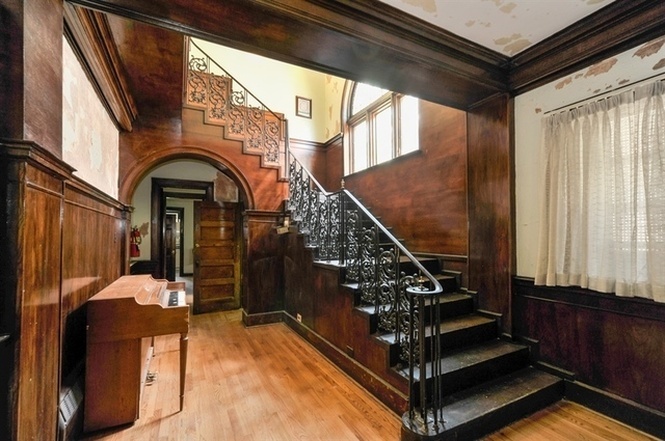 The real estate listing says, "This historic 1895 mansion, is situated on a 50x150 lot, zoned R-4 residential. Return to a single family or renovate into multi-unit. Original woodwork, trim, pocket and panel doors, and three decorative fireplaces. Ornate details throughout, beautiful over sized front door leads into huge foyer with grand staircase and exquisite stained glass. Third floor originally a ballroom with lots of light from large windows on all sides. Home was previously used by non-profit with lots of flexibility for future use. One block from Target, near el, lake, and major developments. Property being sold As-Is." To see more photos or schedule a showing, visit the listing here. Would you know when the showing is going to be? I would just like to see the property (not buy it). No, keep an eye on the listing for an open house, or schedule a showing with the agent. We'd love to see it too! Is it haunted?!? Mind boggling how cheap this magnificent structure is!